This app is great for tweens and teens. It sends gentle reminders to practice mindfulness and affirmations periodically throughout the day. 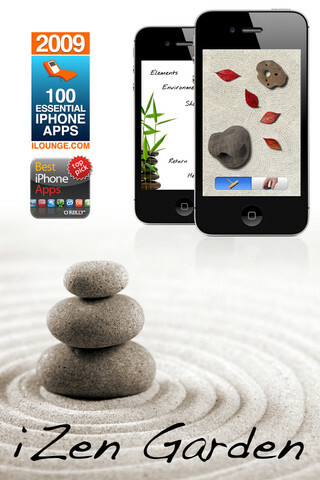 It provides a way to track your mindfulness practice and has small activities built directly into the app. Great introduction to mindfulness practice! 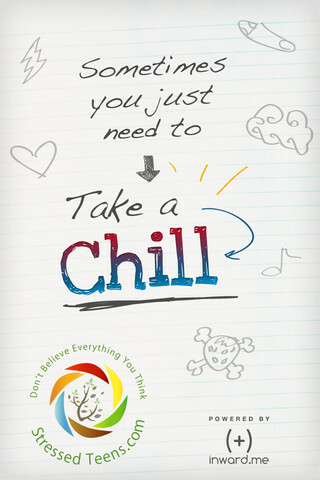 I use this app almost every day during a sensory break with one of my students at school. The poses are cute, simple, and provide easy, step by step directions to follow. Do just one or all of them, it is easy to choose. I love the peacock pose. The fun animals join us every day in my office. The stretches are relaxing and provide an excellent opportunity to focus in the moment. Just like the sand trays with little rakes that allow you to calmly draw beautiful lines in the sand, this app is perfect to promote a moment of calm. Using your fingers instead of a rake, you can draw lines in the sand while listening to cheerful chimes. The Institute of Heartmath (http://www.heartmath.org/), shares extensive research on the relationship between thinking thoughts of appreciation and feeling relaxed and at ease. 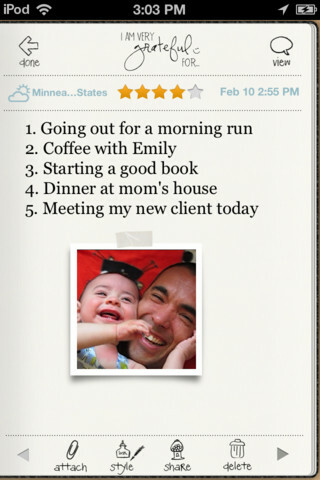 What better way to practice with your child than to keep a gratitude journal. Try out this adorable app that reminds you and your child to think of 5 things you are grateful for each day. 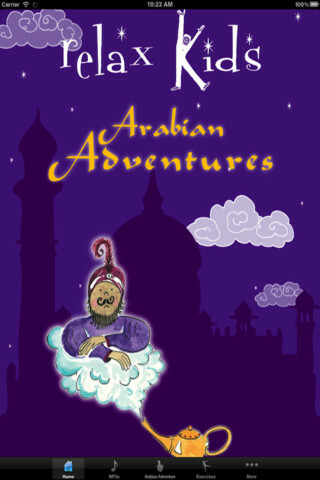 Just out in March by Relax Kids, this Arabian Nights app is delightful. Soothing voice, calming journeys, you can travel to exotic places in your imagination. Topics include belly dancing, snake charmers and magic carpets, your children are sure to be engaged and practicing relaxation right along with this app. Enjoy! 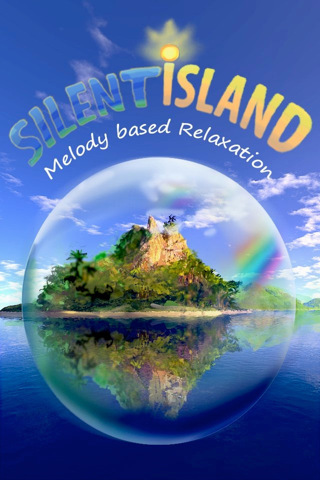 S ilent Island Relaxation Lite http://itunes.apple.com/us/app/silent-island-relaxation-sale/id296191442?mt=8 Listen to the peaceful sounds of a bubbling brook, rushing waves, rain, or birds. Bonuses include videos of floating ice and a slideshow of the islands. It is perfect for those much needed mini moments of relaxation. This version is free, but a full version can be purchased to forego the ads. 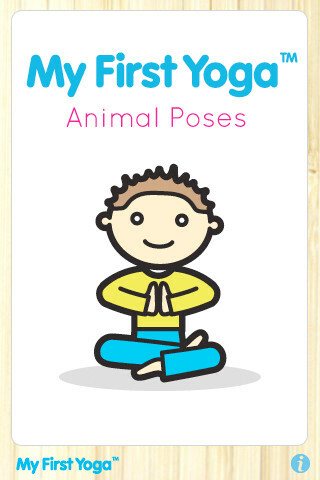 This app has brief meditations for kids and also includes a tree pose activity. Christiane Kerr’s voice is pleasant and soothing, easy to listen to. I especially love the jellyfish meditation. What fun to flop like a jellyfish! How wonderful! Some of these are new to me and I can’t wait to download to use with my own children and in our classes. Stay tuned for the launch of the Yoga 4 Classrooms app as well. 11 of the 67 activities are mindfulness oriented and/or visualizations for children. Coming Summer, 2012! The related Card Deck is available now at http://www.yoga4classrooms.com. Thanks for a wonderful post, as always. HI, these are great thanks! 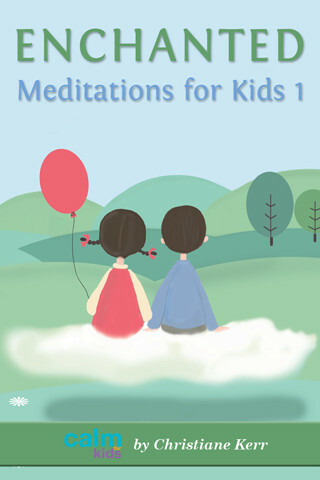 I write relaxation books for children and young people and always love to see that others share my passion…http://www.amazon.co.uk/Mini-Relax-Calming-Meditations-Children/dp/0956851304/ref=sr_1_1?s=books&ie=UTF8&qid=1398770781&sr=1-1&keywords=mini+relax.